Laura Eubanks of Design for Serenity is a celebrity succulent garden designer in Southern California. Her “Succulent Tip of the Day” sent her popularity skyrocketing on social media, and her YouTube channel recently exceeded 4,000,000 views. Here, Laura shares her Top Ten Tips for Succulent Garden Design. The photos are from two videos I made with Laura: “How to Create a Succulent Pocket Garden” (12:36 min.) and “Succulent Garden Design Secrets” (3:40). “Whether you’re doing a 5-foot-square garden or five acres, the same techniques apply,” Laura says. Meet Laura and see her in action at the Succulent Extravaganza, Fri-Sat Sept. 28-29 at Succulent Gardens Nursery in Northern CA. 1. Create elevations. Nature isn’t flat. Mimic nature by moving the dirt around to create hills and valleys. 2. Rocks ROCK! Second only to succulents in horticultural awesomeness, well placed rocks, pebbles and boulders can take a succulent garden from good to spectacular. 3. Remember to plant your boulders by creating a cradle in the soil. Sinking your boulders gives the illusion that they’ve been there for a few million years. 4. 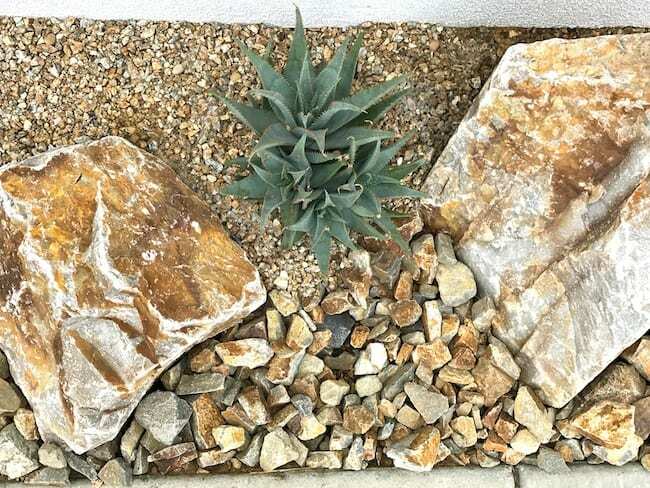 Connect your succulent pocket plantings by running river rock through the design in ribbons. 5. Choose plants that are zone appropriate and favor your microclimates. When in doubt, ask! 6. Know how they grow. Stage your plants according to size. Taller in the back, groundcovers in front. 7. Got drainage? Succulent thrive in poor soil and will reward benign neglect by deepening in color. Just remember, no matter your soil type, it must drain well. 8. Plant cuttings in cooler months or in a partly sunny or semi-shaded area of the gardens to avoid sunburn. 9. When your succulents get leggy, simply pull them out by the roots, clip stems to desired length, discard roots and reset rosettes in a hole deep enough to stabilize the plant. If your succulent cutting stands up, you’ve done your job! 10. Most importantly, be bold, take risks and be creative! Beauty is in the eye of the beholder, so plant and design what appeals to you and makes you happy. 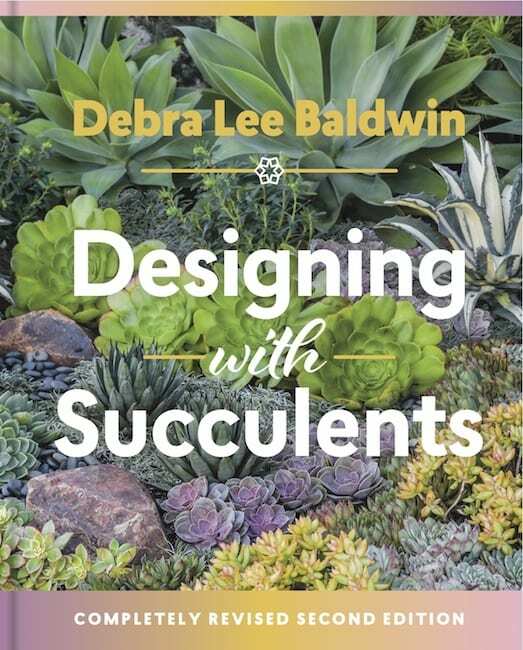 Obtain my comprehensive guide to succulent landscaping, Designing with Succulents (2nd ed. ).